LANCOM Systems has shipped its one millionth product meaning there is reason to celebrate before its upcoming 10 year company anniversary next year. 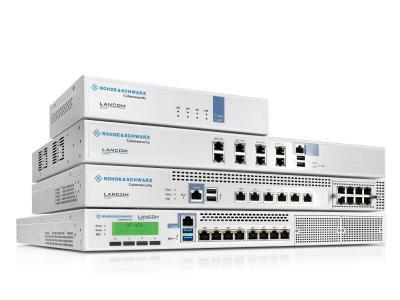 On Tuesday 18th October, a LANCOM 1781A-3G VPN router became the one-millionth product to be supplied by LANCOM Systems. LANCOM Systems Managing Director Ralf Koenzen, accompanied by Torsten Mertens, Board Member at the LANCOM Solution Partner QOSIT Informationstechnik, handed over the new router personally to the chain store Takko Fashion. "We have networked over 1,600 stores in 16 countries with VPN products from LANCOM," explains André Nordhoff, Director of IT systems at Takko Fashion. "The main thing that convinced us was how easy the products are to set up and the flexibility they offer, such as using cellular networking to provide broadband connectivity at branch offices without DSL." Torsten Mertens from QOSIT Informationstechnik adds: "When we incorporated support for the LANCOM devices into our rollout and management system about five years ago, LANCOM was still a bit of an insider's tip. And today the one-millionth product is being shipped to customers. That shows how a company that offers quality can establish itself in the market." Ralf Koenzen, Managing Director at LANCOM Systems: "We are very excited about achieving this milestone. Our success, and that of our distributors and retail partners, has been enabled by flexibility in responding to our customer demands and the high product quality "Made in Germany". Our goal is to work closely with our channel partners and strengthen our position in solutions for site connectivity and wireless LAN. We look forward to the challenge of delivering the next million products to our customers, possibly within the next five years." More information on the product range from LANCOM is available at www.lancom.eu. Takko Fashion has nearly 30 years of experience in delivering high standards and outstanding pricing on the latest styles in clothing, underwear and accessories for the whole family. With over 1,600 branches cross Europe, Takko Fashion is one of the continent's most successful fashion chains. The company's vertical structure enables Takko Fashion to work with high efficiency, great market awareness and to the benefit of its customers. Takko Fashion is establishing itself as the European value fashion retailer. QOSIT supports European retail chains and global companies on projects based around wireless LAN and VPN. The company based in Siegen, Germany plans network structures, provides support during commissioning and operates a 24/7 hotline. RMS, the Router Management System developed by QOSIT, is a software product that simplifies the distribution, servicing and operation of large numbers of network components. QOSIT place great emphasis on the satisfaction and success of its customers. LANCOM Systems GmbH is the leading German manufacturer of reliable, innovative network solutions for business customers and institutions. The focus is on solutions for highly reliable site connectivity (VPN) for branches, enterprises and public authorities and on wireless networking (WLAN) for public and company internal usage. LANCOM Systems GmbH is headquartered near Aachen (Germany) and has sales offices in Munich, Barcelona and Amsterdam.